Playing casino games requires a fundamentally different skill set to playing poker games. I personally know several poker players who are consistently profitable but make poor casino gamblers. However I don’t say this as any sort of generalization or with the intention of causing offense – I’ve been a consistently winning casino gambler for years and won’t play poker for money because the fundamental differences in poker leave me unconvinced I’d be nearly as successful as a poker player. 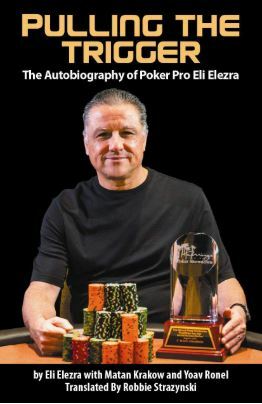 When playing poker, while the mathematically optimal strategy is information that should be taken into account when choosing the play to make, the multitude of options in bet sizing – allowing you to drastically vary the amount you risk mid-round – alongside the human element of varying your strategy based on either knowledge of your opponent’s playing style or a read on their emotional state means that successful poker players take a heuristic approach to the game. The mathematically optimal play isn’t always the right play. In fact if you were to always play in the mathematically optimal manner, you’d become predictable and quickly find yourself losing. The right play is the play that wins the most, or loses you the least in any given situation. Casino games are entirely different. You play against the house which offers either a paytable or a fixed strategy. As the dealer has to play in a pre-defined manner, the mathematically optimal play is always the right play. So applying the mathematically optimal play is the correct strategy for any casino game. In summary, when playing a casino game the best play is defined by mathematics and when playing poker the best play varies depending on conditions that usually cannot be pre-defined. This is a facet of casino gambling that many players struggle to manage, especially poker players who have trained themselves to tailor their strategy to the opponent they are playing. 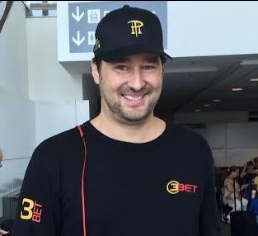 There are a lot of factors to be considered when choosing a poker room or casino to play with – deposit methods, withdrawal times, game selections, bonus offers to name but a few – but in my opinion by far the most important is reputation and their treatment of players. As such I’m going to start off by looking at some of the indicators that you can access to help you select a casino. The casino market is full of operators that are brazenly dishonest; this is most especially evident within the US market but is far from a rarity for the rest of the world. As such it’s very important to do some research before you sign-up to play with any casino. This is made far more difficult by an affiliate market that will, for the most part, sell you lies. Within the gambling affiliate community, it’s easy to find thousands of sites offering “reviews” of casinos, but usually your only source of information will be affiliates. Every site will tell you they’re honest and prompt you to read glowingly positive reviews. In short, it’s normally a bad idea to take affiliate recommendations at face value. These recommendations are usually based on which casino is offering the affiliate the best deal to promote them and has little or nothing to do with whether or not the casino is a good choice for the affiliate’s readers. 1) Look to sites that manage player complaints. Where an affiliate is actively involved in large-scale management of player complaints, they tend to have a better overview of the industry and the problems with various groups and as such can be more selective about whom they work with. It also becomes more difficult for the affiliate to ignore issues where they place themselves in a position to intervene in disputes as if significant volumes players feel that the affiliate has tried to white wash an issue in favor of the casino this often causes pressure within their own community (and on other forums). While we deal with player complaints, if you’re not comfortable with our service I’d recommend considering CasinoMeister.com who are the longest running affiliate-based complaint service and who have developed an excellent reputation over the years. 2) Look for well-researched reviews. If you’ve found a review site that you think is credible/trustworthy the first thing you should do is check to see if there are any negative reviews anywhere on the site. By “negative” I don’t just mean “less positive”, I mean reviews that actually highlight specific player issues and cite sources. If the review site doesn’t have well-researched negative reviews then you should discard any positive reviews as garbage. A caveat to this would be that you shouldn’t trust everything negative you read either. Both players and affiliates are widely guilty of distributing low-quality criticism. Players do this when either they’ve had a loss and determine that the games must be unfair (the vast majority of the time they don’t have anywhere near a large enough sample size to justify this claim) or where an operator has voided their win and they’re looking to pressure the operator to pay (sometimes the player’s right and the operator should pay, but just as often the player hasn’t adhered to the rules and shouldn’t be paid). Affiliates do this when there’s been a breakdown in their relationship with an operator or a dispute about pay. Negative reviews are valuable but you have to ensure that they are based on a neutral perspective of a situation. 3) Don’t just trust the first review you read! Found a well-researched review? You still shouldn’t immediately trust it. Have a look at reviews on some other sites – there are some affiliates out there that are willing to lambast groups that they have personal issues with while turning a blind eye to issues with the operators they favor. 4) Search specifically for complaints. This is an important one – go to Google and enter in the casino brand name followed by the word “complaints”. It’s also a good idea to repeat this process with the words “scam”, “fraud”, “rogue”, “legit”, “problems”, etc. Another useful tool if you’ve found an affiliate site you trust is to use Google’s site search functionality. Go to Google and enter “site:https://[AFFILITATEILIKE].com “[CASINO BRAND]”. That will quickly tell you if there’s any information about the casino you are considering on your favorite sites. Another important factor to consider when selecting a casino or poker operator is where the operator is licensed. In my opinion, regulation has not yet reached the standards that the industry needs, but it is moving in the right direction and where an operator holds their license can make a big difference if things do go wrong – remember what happened with old Full Tilt Poker? If an online poker room or casino displays no licensing information it’s almost always a good idea to avoid playing there. Costa Rica, Montenegro, Cyprus and most of the Master License holders in Curacao are, as far as players are concerned, effectively unregulated. These jurisdictions take no interest in assisting with player complaints and in our experience tend only to revoke licenses if they’re not getting paid. The stronger licensing authorities that are active today are the United Kingdom Gambling Commission, the Malta Gaming Authority and the Alderney Gaming Control Commission. For US players, the Kahnawake Gaming Commission is the strongest regulator licensing operators that accept unlicensed US traffic. To date we’ve found them very cooperative and positive when we’ve worked with them on various player issues. Any casino that’s worthy of consideration will have somewhere in their terms and conditions a clearly defined procedure for the management of player complaints. If they don’t, don’t play. If they do and their procedure defined escalation to the casino management as their top level, don’t play. Specifically, you want to see that the operator defined regulators, ADRs and third parties that they are willing to work with. If they don’t do this it’s a very good indicator that you shouldn’t engage with them. If the casino is new off the shelf and still in its shiny wrapper, walk away. New casinos are just that, new. They haven’t yet been in operation long enough for much of what’s discussed above to turn up anything. Let others try them out first and come back in six months to see what information is available at that point. On ThePOGG we won’t consider any casino for Recommended status until they’ve been listed with us for a full year without problem and I’d suggest that players should take a similar approach. Many players assume that just because a casino shares a name with a high street bookmaker or has advertisements on TV that they’re going to be a good choice. While it is true that these factors are a fair indicator of a well-financed operation, this is far from a hard and fast rule. Examples of how this can go wrong would be MetroPlay/666Bet and SmartLive. Both these groups ran major UK advertising campaigns and ended up getting their UKGC licenses revoked, leaving large numbers of players unpaid. More than this though, the bigger operators are generally the most reluctant to engage in transparent oversight. When complaints come in about William Hill or Bet365 it’s normal for these operators to refuse to cooperate with us in discussing the issue despite our holding Accreditation with their major regulator. The above is a fair cross-section of factors that you should consider before anything else if you’re looking for a casino to play with. However, I realize that we’re all guilty of being a bit lazy. The team running ThePOGG puts a lot of time and work into doing the above to cut your research time down. I would certainly never encourage any player to use ThePOGG to the exclusion of all else – we make mistakes like everyone and while we do work hard to keep our reviews up-to-date, there will be issues that are missed for several months between review updates – I’m very proud of the resource we’ve put together and feel it’s a good place for players to start. 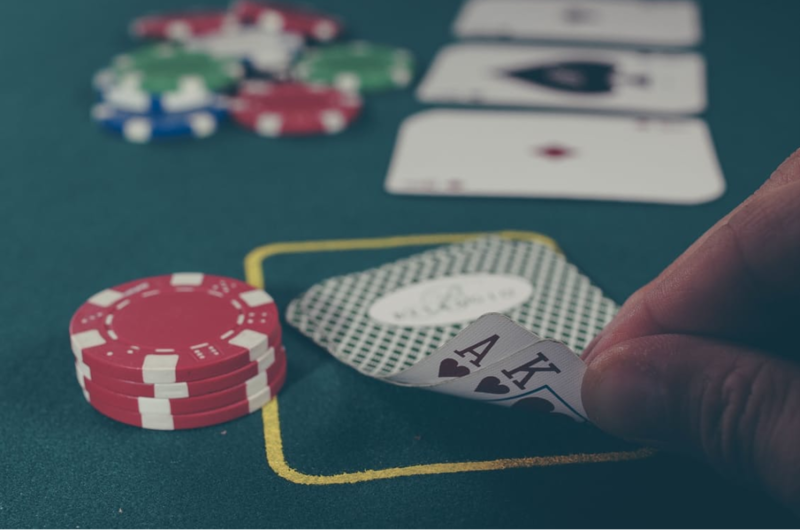 Once you’ve decided that a casino or poker room appears to be above board there are some other factors to consider before making your choice of where to play. In 2006 the US government passed the Unlawful Internet Gambling Enforcement Act (UIGEA). Without going into detail of the rights or wrongs of this bill, the ultimate consequence of UIGEA was to make online gambling illegal in the US by prohibiting financial institutions from processing any transaction to an online gambling establishment. This hasn’t however been effective at stopping US citizens from participating in online gambling. While most reputable or well regulated operators proactively refuse to accept any player resident in the USA other operators chose to work round the system by finding payment processors that would process transactions with non-gambling related descriptions. Needless to say many of the operators that were prepared to flout the law in this manner have ultimately proven willing to engage in other practices that are far from desirable. The sad truth is that far from protecting US players from the dangers of online gambling, UIGEA ultimately drove the US gambling population into the arms of the unregulated market, essentially a black market. Slow and non-payment issues are widespread within this market. Due to our status as a UKGC approved ADR we don’t recommend any casinos to unlicensed US traffic, even without that accreditation however there are very few operators that accept unlicensed US traffic that we think are even remotely a good choice for players. If you are a US player my first piece of advice would generally be “don’t play” and if you’re going to play anyway I’d say “be VERY careful about who you choose to play with”. There are a small number of groups that will accept unlicensed US traffic who we’ve had positive experiences with, and while I won’t specifically endorse them here if you want to ask privately feel free to contact me. In the last few years three US states have legalized online casino gambling; Delaware, Nevada (poker only) and New Jersey, with another seven states; California, Illinois, Massachusetts, Mississippi, New York, Pennsylvania and Washington introducing legislation that could result in legalized casino gambling in the near(ish) future. To date the companies that have been licensed to operate in Delaware, Nevada and New Jersey aren’t companies that we would advise players in other countries to play with. They fall into the category discussed above of ‘big must be good’. As such we don’t recommend any online casinos to US players. Does this mean that you shouldn’t play? That’s a personal decision, just be careful if you do decide to play with an online casino as a US citizen. I would also highlight that while we don’t recommend casinos to US players, we will assist US players with complaints. It should be noted that operator engagement with our complaint procedures is far less consistent in the US market than other markets. While we’re always happy to try, the reality is that many US facing operators simply don’t care about player complaints. 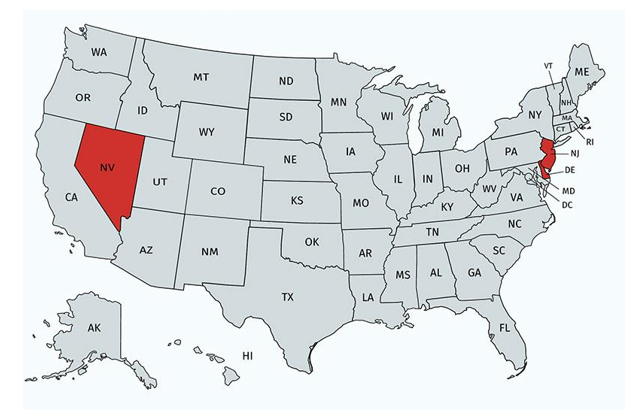 One final note about unlicensed US operators – in my opinion as more states move towards properly licensed casino operators a significant squeeze is going to be put on unlicensed operators as their market advantage is stripped away from them. It seems likely that this will encourage many already dubious operations to engage in even more questionable practices. Regardless of the casino you choose to play with, you will almost certainly be required to verify your identity and engage with KYC (Know Your Customer) policies before the operator will pay out any significant sum. While I fully understand how frustrating this can be, it is standard practice across the industry and is a requirement of most quality licenses. I’ve been there and done that as a player with regards to operators who seem to be being inflexible with regard to verifying ID – the harsh truth is getting angry or arguing with them simply won’t help. 1) Government-issued photo ID – Your best options here are a passport or driving license. While there can be other options remember that the ID format has to be recognizable and verifiable for someone who is not necessarily familiar with your local government. 2) Proof of address – This should generally take the form of a utility bill or bank statement that’s been issued in the last three months. Again generally speaking, most operators will not accept screen shots of online statements. For this reason if you’re going to play online it’s a good idea to ensure that one of your providers continues to issue paper statements. Personally, I receive paper bank statements for this very reason. 3) Proof of payment – This isn’t as widely requested as 1) and 2) but many casinos will ask for some proof of payment. The requirements can vary but most common are a photo of the front and back of any card you’ve made a payment from or a statement of the account you made the payment from showing the payment to the casino. For this latter option, usually a screen shot of an online statement will suffice. It’s a very good idea to have the above to hand before you play with any online casino. In fact, I’d personally recommend contacting support before you play to ask what they need and submit it. This will allow the quickest possible withdrawals after play. ID verification can require more than the above but “enhanced verification” is usually not required unless suspicious activity has been detected on the account. By “suspicious” I mean activity that suggests that the account is being operated by someone other than the named account holder or that the account is suspected of being run in parallel with other accounts. If this appears to be the case the most common requests are for a Deposit Confirmation Letter to be returned (a letter mailed to your address, signed by you then returned to the casino), for photos of you holding your ID beside your face (to confirm that the person who owns the ID is the one submitting it) or for Notarized ID to be submitted. This last request requires an appointment with a Notary Public but is usually fairly easy to acquire. Another potential issue that’s only come to our attention recently is players using their work mobile phones or credit/debit card to deposit. If the contract on your phone/card is held by anyone other than you, you should expect the casino to ask for authorization for any deposits they’ve received from the account holder before they process any withdrawals. This potentially means getting a letter from your employer so if this is something that’s likely to cause you an issue at work don’t use a work account to deposit! Why can casinos take my money without verification? This is a question I’m regularly asked, usually by irate players that don’t want to provide the ID that’s being requested of them. In an ideal world everyone would be verified before they were allowed to play. This would prevent a lot of issues further down the line. However this isn’t an ideal world and basic human psychology has to be taken into consideration. First and foremost, if you are a player and you sign-up to a casino, normally you’re looking to play. Right now. Gambling is an impulse activity and if an operator immediately locks your account after registration and asks you to submit loads of documentation then tells you it could take between 1 and 5 days to verify your documentation, chances are you’re not going to bother handing over such sensitive information and you’re going to go off and choose another operator that doesn’t ask you to verify your account immediately. Any operator that imposed pre-verification would be likely to lose out on a significant amount of custom due to this policy to other operators who wait until the player has a withdrawal (incentive) to comply. So why don’t regulators force all operators to pre-verify all players? There are a number of reasons for this. Firstly, as the unlicensed US market shows, not all operators will choose to operate in a well regulated manner. If for example the UKGC insisted that all licensed operators pre-verify players they risk driving a significant volume of UK players to non-licensed venues. This is bad for the players as these operators are generally less reputable, bad for the licensed operators who lose out on custom and bad for the UKGC who lose out on tax revenue. The only group that would benefit out of this policy would be the unlicensed operators. Alongside this, with post-play verification a large proportion of accounts will never require verification checks. If pre-verification is enforced this would require a significant manpower increase on the operator end. Finally, where a security review is conducted it’s not just ID that’s taken into consideration. Information from the various financial transactions that have occurred and the game play that has taken place are all reviewed. This basically means that even if a pre-verification policy was put in place, the operator would still have to do a security review again before paying out. So, the short story here is that operators check ID before withdrawal to reduce overheads, facility engagement with an impulse activity and prevent players being driven to unlicensed operators. Bonuses are the single biggest issue of conflict between players and online casinos. In the same way that it is possible to be a consistently winning poker player, it is possible to consistently win when playing at online casinos and the main way to do that is through the strategic use of bonuses. For this reason bonuses tend to come with large terms and conditions documents that dictate what you are and are not allowed to do with a bonus. 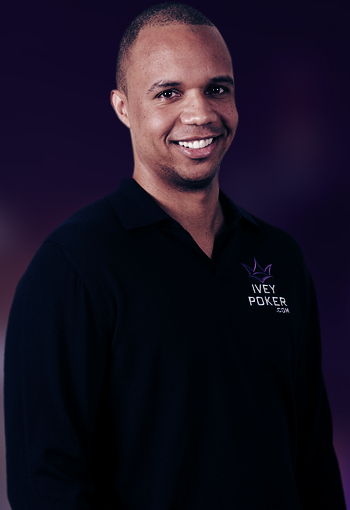 Complex terms and conditions documents result in players making mistakes which subsequently result in winnings being voided and arguments over who’s right and wrong. While personally I’d advise players to avoid using bonuses where possible, I understand that most players want bonuses. So, I’ll provide a quick rundown of the types of bonuses available and the terms and conditions to keep an eye out for. Deposit Bonus – This is a bonus that you receive when you make a deposit, also sometime referred to as a ‘Match Bonus’. Generally they are expressed as a percentage of your deposit – for example 200% up to $100 would mean that if you deposit $50 you’ll receive a $100 bonus. No Deposit Bonus (NDB) – This is a bonus you’ll receive without having to make any deposit. They are generally small, have a win limit and are more frequently offered by the casinos accepting unlicensed US traffic. Free Spins – This type of bonus is becoming more and more common and is being used as an alternative to both Deposit and No Deposit Bonuses. The idea is the operator provides a specified number of spins on a designated slots game. The player wagers nothing and the winnings are then considered a bonus. Like NDBs, these generally have a win limit attached. The value of the spins varies from promotion to promotion but is usually set at minimum bet/maximum lines for the slot game in question. Cashback – Awarded after play, cashback generally takes one of three forms: a percentage of losses over a designated period of play, a percentage of wins over a designated period of play, or a percentage of bets over a designated period of play. Cashable – Cashable bonuses are awarded before play and allow the player to withdraw the bonus after the requirements for the bonus have been met. Sticky – Also called ‘non-redeemable’ or ‘phantom’ bonuses, these bonuses are awarded before play and removed from your account at the point of your first withdrawal. They can NEVER be withdrawn. Post Wager – Post Wager bonuses can come in both Cashable and Sticky forms and are awarded after you’ve met defined play requirements. Wagering Requirement (WR) – Almost all bonuses will carry some form of Wagering Requirement. This is the amount of bets you are expected to place before you will be able to withdraw any money after accepting a bonus. Generally wagering requirements are expressed as a multiple of the deposit, the bonus or the deposit plus bonus. It’s important to know that some casinos will void your win if you try to withdraw before completing the wagering requirement, so always make sure you have completed the WR before attempting to withdraw money. Game Restrictions – Fairly self-explanatory, these are the games you’re not allowed to play when attempting to meet wagering requirements. If you play a restricted game while you have a bonus most casinos will void any winnings and simply refund your deposit. a) This limit normally includes all bets placed in a round. That means that all the wagers you place on the Roulette layout are summed. Other games like Blackjack and Texas Hold ‘Em Bonus may or may not include all wagers, but it’s generally wise to err on the side of caution. b) Wagers on the post-round gamble feature are counted individually. So if the maximum allowed bet is $5 and you bet $5 on a spin winning $10, if you then wager that $10 on the post-round gamble feature you’ve violated the maximum bet term. Win Limits – These terms have become more popular in recent years and allows the casino to cap the amount that can be won when playing with a bonus. Any winnings in excess of the cap ar deducted from your balance at the time of withdrawal. Payment Method Restrictions – These limit which payment methods can receive bonuses and are being put into place due to the levels of fraudulent activity that some casinos are seeing from groups of players depositing via certain e-wallets. Country Restrictions – Less common, but some casinos will accept players from a country yet not allow them to receive bonuses. The above list of terms is far from exhaustive, but is a good guide. You should ALWAYS ensure that you read both the promotional terms and conditions and the general terms and conditions. If you win and you’ve broken the rules it’s highly likely that you’re in for a disappointment when you come to withdraw. Some operators will make an exception and ignore a rule violation if they feel it’s been unintentional, but by and large you’re only going to get your deposit back. In this section my intention would be to discuss some of the more popular casino games, but before diving in I would stress that this is a topic that is far too expansive to cover properly in a post of this nature. Whole websites could be written on this topic (something I’ve done). Instead I’m going to try to briefly outline the optimum strategy for each game instead of offering a detailed breakdown. 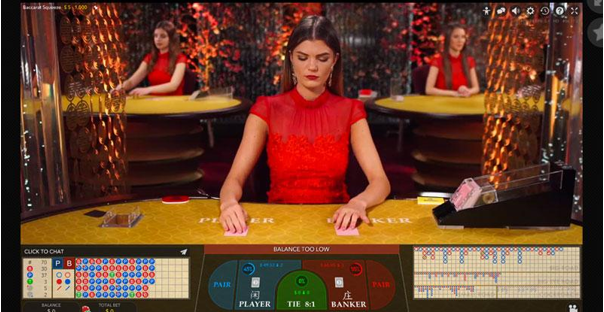 While offline Baccarat is one of the most popular casino table games, particularly in Asian cultures and most notably amongst high rollers, its presence online is not nearly as significant. Every major online software provider carries some version of Baccarat but it simply doesn’t see the turnover levels of other table games. Baccarat online is a very straight forward game, the only decision the player has to make is whether to bet Player, Banker or Tie. After that the hands are played out using a set strategy. 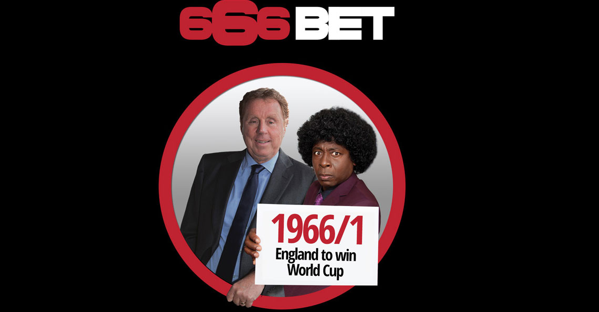 The objective is to get as close to 9 as possible without going over, though you can bet on either the Player or Banker hands to win. Cards are ranked by their pip value other than ten and face cards which carry a value of 0. If a hand goes over 9, only the right digit of the total is considered. So a hand of 7s and 8h gives a combined total of 15 and a hand value of 5. Optimal strategy for Baccarat is very straight forward – if possible look for a 1 deck game (available online at Microgaming casinos) and more importantly always bet on the Banker hand. The Player hand is a marginally weaker bet though still better than the vast majority of slots games. The Tie bet is generally terrible for the player carrying a House Edge over 10x higher than the Banker or Player bets. 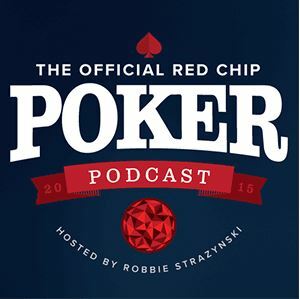 You can find a far more detailed discussion of Baccarat on ThePogg. 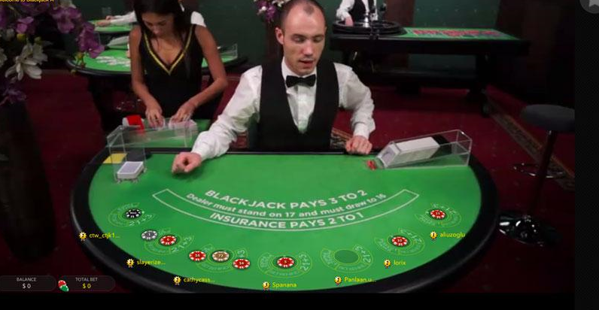 Probably the best known casino card game, Blackjack, also referred to as Pontoon or Twenty-One, is of course widely played both online and offline. The objective of the game is to get the hand a hand closer to 21 than the dealer without going over. Card are ranked by their pip values other than face cards, which are valued at 10, and Aces which can be valued at either 1 or 11 depending on which is more beneficial to the player. If you receive an Ace and a ten-value card as your first two card this is called Blackjack and is paid out at 3 to 2 rather than the standard 1 to 1. If the dealer has a Blackjack, all hands automatically lose other than player Blackjacks, which push. The best possible way to play Blackjack for the player is to abide by Basic Strategy (the mathematically derived optimum strategy for every possible combination of Player and Dealer hands). Given the large selection of available rules and number of decks Basic Strategy varies from game to game. Here’s a tool to assist you with the generation of a Basic Strategy chart. Probably the simplest casino table game, when playing Casino War the player places a bet and a card is then dealt to the player and the dealer. The highest rank wins (Aces are considered high). If the ranks are equal the player is offered the option to either Surrender forfeiting half of their bet or Go To War, in which case the player has to place an additional wager equal to their initial wager and two further cards are dealt to decide the round. Optimum strategy couldn’t be any more straight forward – always Go To War if given the option. Far more popular offline than online, Craps is a dice game known for its lively table atmosphere. 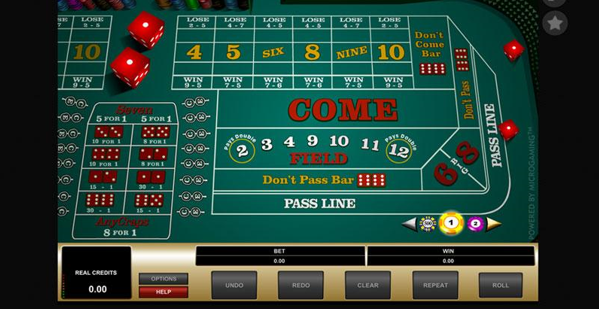 The atmosphere dimension of the game has not translated well to the online variant and many software providers today fail to offer their own version of Craps. 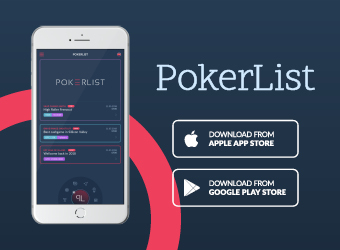 An extensive layout allows the player to place wagers on a large variety of roll results that can both be decided by a single roll or require multiple rolls to conclude. The best option for the player when playing Craps is to bet on the Don’t Pass line and follow that up by taking the maximum allowed bet on the Don’t Pass Odds bet if a point is made. It should be considered that when betting the Don’t Pass line you will generally be betting against the rest of the players at the table (i.e., taking a wager that they’ll lose) and this can result in a hostile atmosphere. Given that it is a viable and only marginally more expensive option to place the Pass line bet and take the maximum allowed bet on Pass Odds if a point is made it may be worth considering this option for the sake of social harmony. Some useful resources for information on Craps can be found on our site or, of course, on Wikipedia. Keno is a lottery-type game. Select the number of balls you wish to play and the draw begins. The more balls that are drawn that match the numbers you selected the bigger your prize. The optimal strategy for this game is to select the number of balls that offers the lowest House Edge. 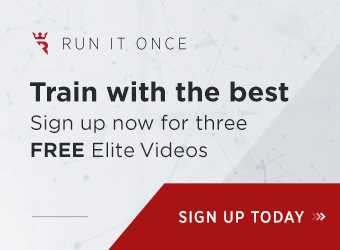 The House Edge varies widely with both the number of balls selected and the payouts offered, ranging from as little (online) as 1.41% right up to almost 40%, with even some of the bigger software providers regularly exceeding 10%. Check out our site’s page about online keno play for the optimum number of balls to play for each software provider. A very straightforward game – the player places an Ante bet and two cards are dealt out. If the two cards are consecutive in rank (cards are ranked in suit order with Aces considered high) the round is considered a push. If two cards of the same rank are dealt a third card is immediately deal. If it matches the rank of the first two cards the player win and 11 to 1 payout. Any other third card results in a push. Any other combination of initial two cards results in the player being given the choice whether to Call or Raise (placing an additional bet equal to the Ante bet). A third card is then dealt and if it is between the ranks of the initial two cards the player wins and is paid out by the paytable displayed on the table. If the third card is equal to either of the first two cards, above the high or below the low card the player loses all bets. The optimum strategy for Red Dog is to place the Raise bet where the gap between the ranks of the initial two cards is 7 or more. More decks also reduces the House Edge of this game, so if possible look for a game played with 6 or 8 decks. Both online and offline Roulette are among the most popular and profitable games for casino operators. The game consists of a spinning wheel with pockets numbered 1-36, 0 and, depending on the game, 00 round the outside. The pockets are colored either red or black other than the 0 and 00 pockets which are colored green. Once the player has placed their bet/s a ball is spun round the outside of the wheel. The pocket it lands in dictates the winning bets. 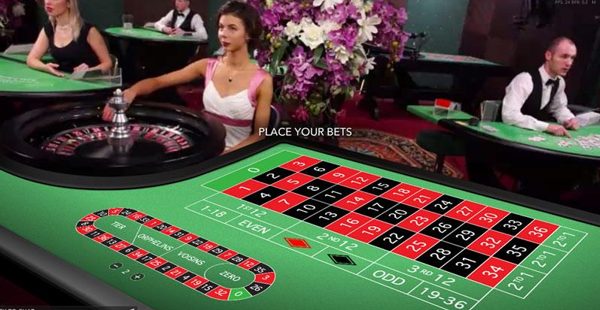 The player can place a large variety of bets on Roulette but generally speaking the payouts are tailored to ensure that the same house edge is offered to the player. As such, the optimum strategy when playing Roulette is not about which bets you place but about the rules offered at the specific Roulette table. As such players should look to play at Roulette wheels that offer only a single 0 pocket (no 00 pocket). Playing at a single 0 wheel almost halves the house edge. If possible, the player should also look to play at a wheel that offers the ‘En Prison’ rule (where the player gets half their bet returned if the ball lands on one of the green slots), but where most online casinos will offer both double and single 0 wheels this rule is not as widely available. We’ve got some great roulette strategies and tips that you ought to check out. Slots are at the same time the most basic and the most complex of casino games. For the player the options are very straightforward – put your money in, spin the reels, win or lose. Behind this though is a complex array of both options and settings that can result in a vastly different financial experience depending on the game you choose to play. Reel – The vertical strip of symbols. Most slots games come in either 3- or 5-reel variants. Payline – A line using one symbol from each reel. Winning combinations of symbols generally have to appear on an active payline, concurrently, starting from the left side of the reels. Coin – The value of coin used to wager. Generally slots games require the player to wager a coin per active payline, though many games allow the player to wager multiple coins on each payline. Wild Symbol – A symbol that can serve as any symbol on the paytable. These symbols generally mimic the symbol that would result in the highest win for the player. Normally these symbols do not substitute for Scatter symbols. Scatter Symbol – A symbol that will pay out regardless of its position on the reels assuming that a large enough number of them are present (normally 3). 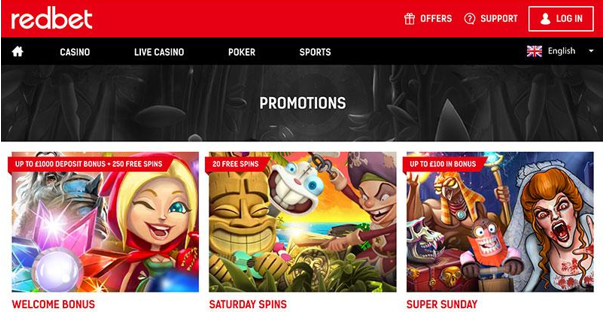 Free Spins – A widely available bonus feature that is triggered by some in game setting. Free spins are exactly what you’d expect; a number of spins where the player does not have to wager anything but will still be allowed to retain the winnings. Free spins are generally played out at the same paylines, coin number and coin size as the spin that triggered the bet. It should be acknowledged that slots games fall into the category of ‘very high variance’ in comparison to most other casino games. This means that it’s possible to have significant wins while playing with low bets, but it’s also common to have extended periods of losses. Players would be well advised to review the Return to Player (RTP) figure for a game before making a choice to play. RTP figures vary widely ranging from as high as 99% to as lower than 85% and as such can make a significant difference to the long term results a player will experience. We would strongly advise players not to play any game with a RTP of less than 96%. Lower than this and you’re playing a game with a higher house edge than most table games and a far faster rate of play (meaning playing will cost you more). If you’re interested, we’ve got plenty of additional RTP/house edge information for almost 2,000 slots games. Derived from the most popular version of poker, Texas Hold ‘Em Bonus mimics the format of the poker games with three cards being played out when the player places an Ante bet, followed by further betting opportunities on both the Turn and River. The winning hand is decided by comparing the best five-card hand that both the dealer and player can make using the five community cards and their two-card hands. – The Call/Fold decision is straightforward. You should only fold unsuited 2/3, 2/4, 2/5, 2/6 and 2/7. – Subsequent decisions are far more complex and are not easily summarized; we recommend using our strategy calculator. Three-Card Poker is the simplest of the casino poker variants. The player places an ante bet. The Dealer deals out 3 cards to the player and 3 cards face down for themselves. The player then has the choice to either fold the hand, losing their ante, or place an additional play bet equal to their ante. The Dealer’s hand is then exposed and the stronger hand wins. Winning hands are paid by the on table paytable. Optimum strategy for this game is very straightforward: Play any hand of Q64 or better and fold any other hand. Side bets, namely the Pair Plus bet, should be avoided. Online the best game is offered by Microgaming and called ‘High Speed Poker’. Video Poker comes in a large number of varieties, but most conform to a central structure. You place a bet, are dealt five cards, select those cards you wish to discard which are then replaced and the resultant hand is compared to the paytable. 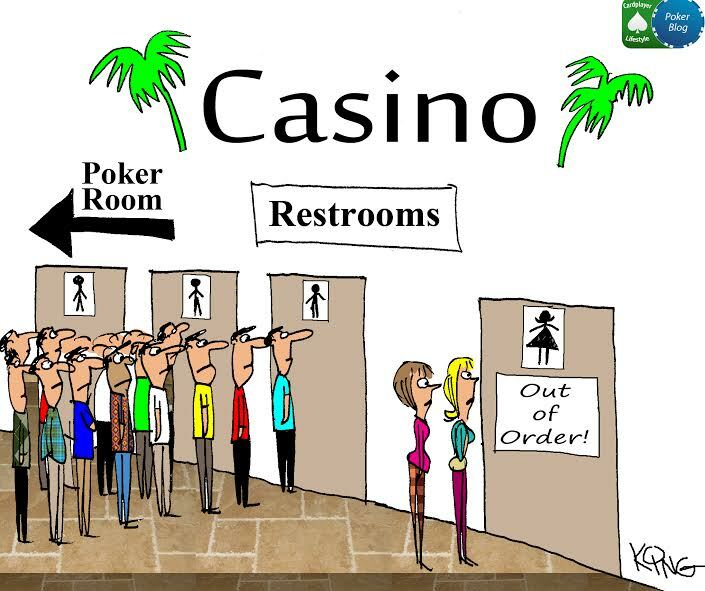 There are many ways to profit from playing video poker. The differences between the variants of Video Poker are mostly down to paytable changes, though there are some rarer (at least online) versions that change the structure of the game. Optimal strategy is entirely dependent on the game version being played and the specific paytable on offer. It is not easily summarized for any game variant, but you’re welcome to use our video poker strategy calculator and strategy trainer. Is it possible to consistently win playing online casino games? The short answer to this is ‘yes’, however it comes with certain caveats. Firstly, in almost all instances of online players winning consistently playing casino games the primary tool in their success is claiming bonuses. Smart use of bonus monies combined with minimum play outside of bonus play-through structures can provide the player with a consistent and mathematically quantifiable edge over the casino. Secondly, while in the past it was possible to make use of bonuses to gain an edge with a relatively small bankroll, the reality of the modern market is that anyone looking to engage seriously with winning play online needs a large bankroll to sustain the swings they are likely to experience. In the infancy of the online gaming industry many casino operators offered extremely generous bonuses with lower wagering requirements than are currently available and far more lenient game restrictions. Today operators have gotten wise to the opportunities these type of bonuses provide players and have consequently raised wagering requirements and restricted many table game, often only allowing play on slots games. This means high variance play resulting in significant risk before long term profit can be assured. 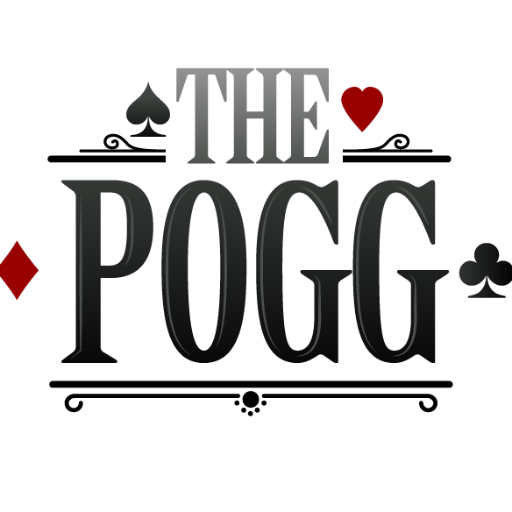 Duncan Garvie has managed ThePOGG.com, an online casino review and recommendation service, since 2011. ThePOGG.com is the only affiliate-based player complaints service to have received accreditation from the UKGC as an Alternative Dispute Resolution (ADR) service for the remote gambling sector. 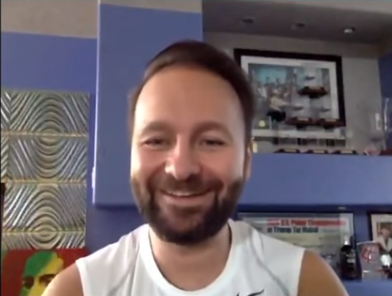 Prior to managing ThePOGG.com, Duncan was a winning casino player, both online and offline, and spent around 10 years deriving a significant proportion of his income playing various casino games.